Developers Scramble to Meet Demand for Small Manufacturing Spaces « J.G. 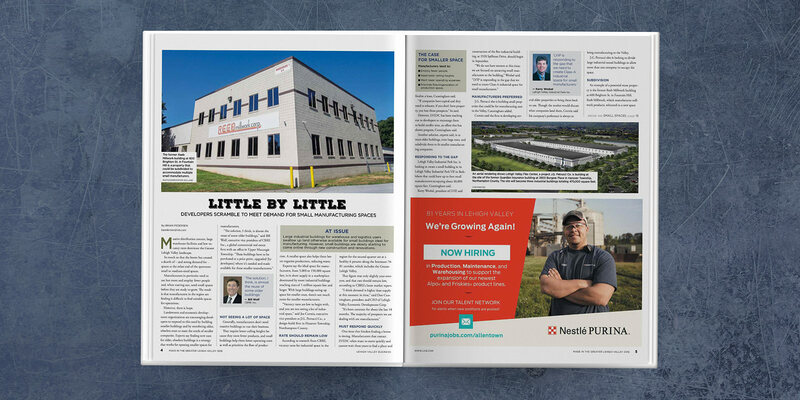 Petrucci Company, Inc.
“Massive distribution centers, large warehouse facilities and low vacancy rates dominate the Greater Lehigh Valley Landscape. So much so that the boom has created a dearth of – and strong demand for – spaces at the other end of the spectrum: small to medium-sized spaces. Manufacturers in particular tend to use less room and employ fewer people and, when starting out, need small spaces before they are ready to grow. The result is that manufacturers in the region are finding it difficult to find suitable spaces for operations.